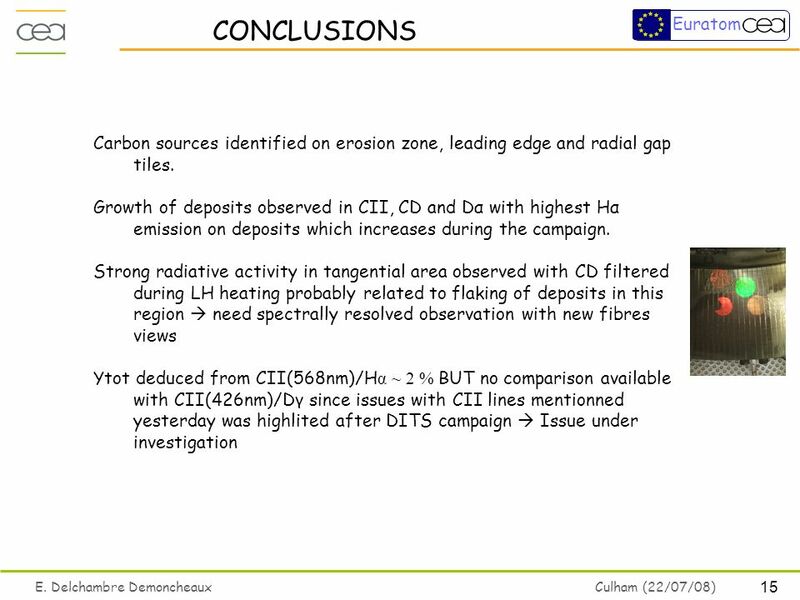 1 E. Delchambre Demoncheaux Culham (22/07/08) Euratom CARBON SOURCES IN TS LONG DISCHARHES. 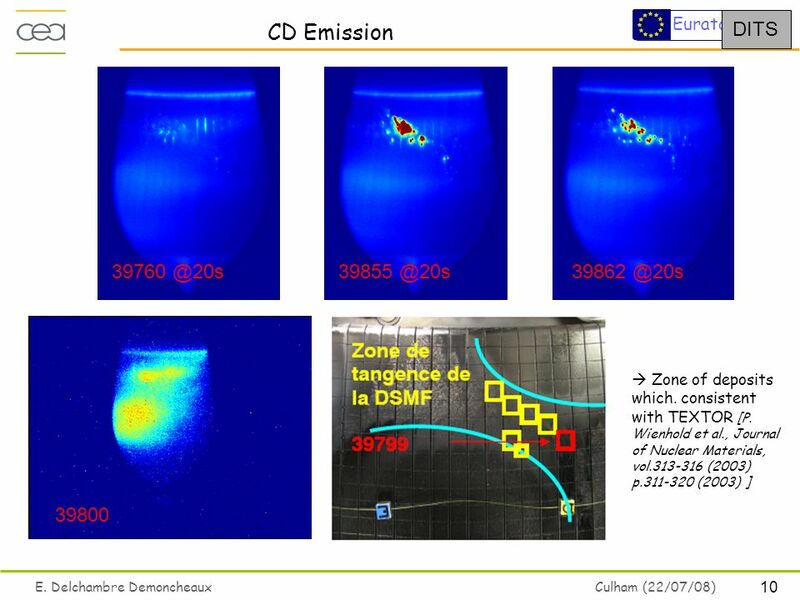 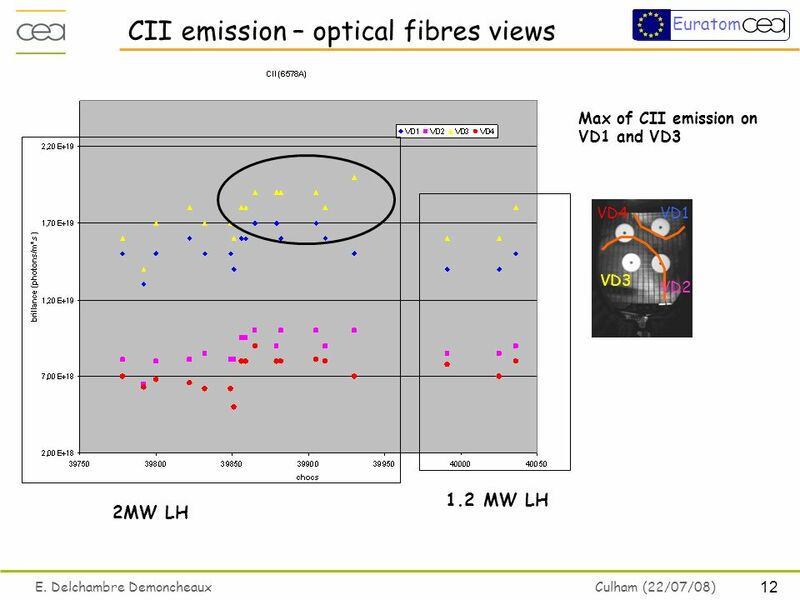 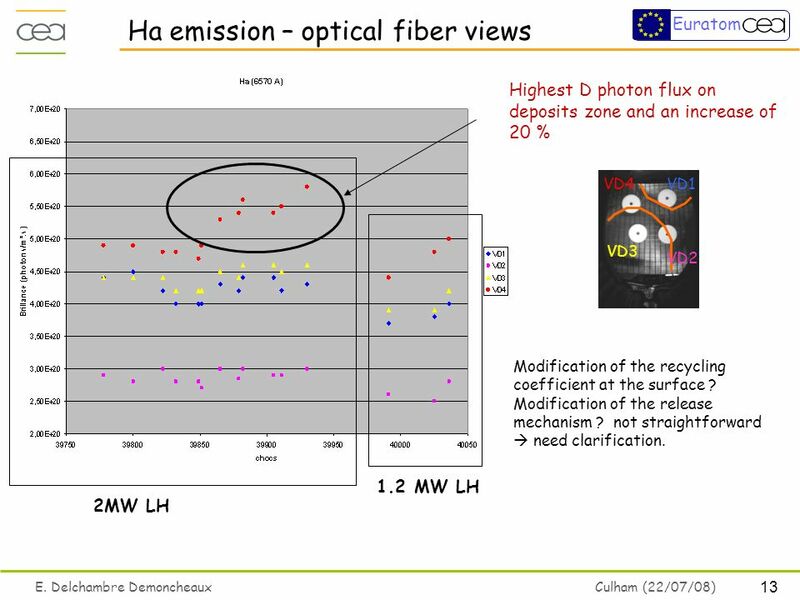 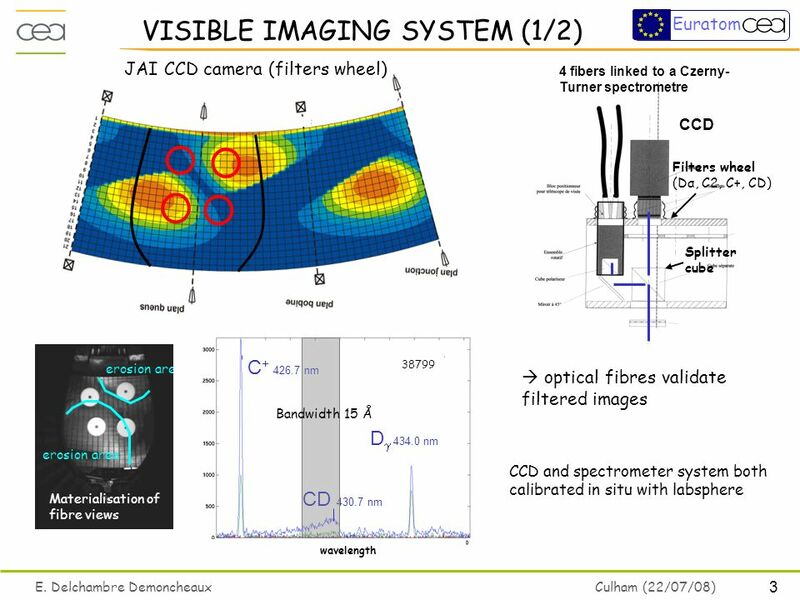 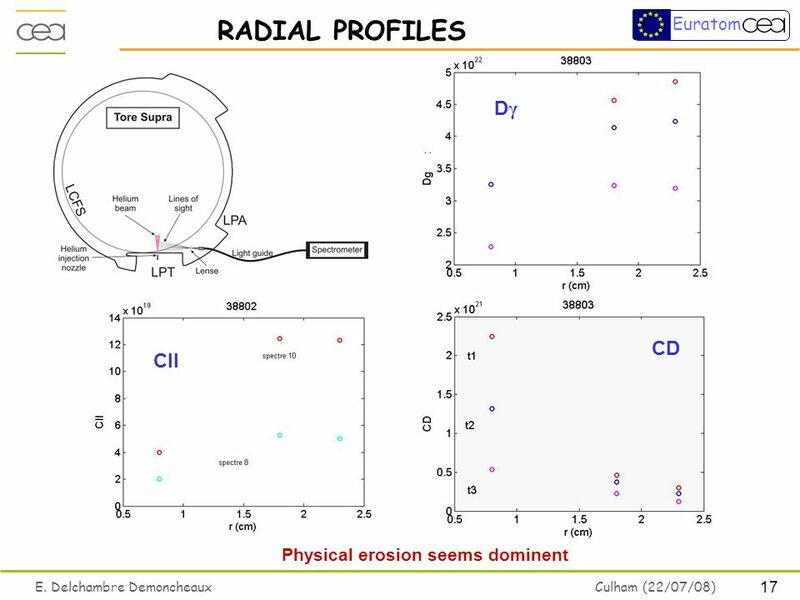 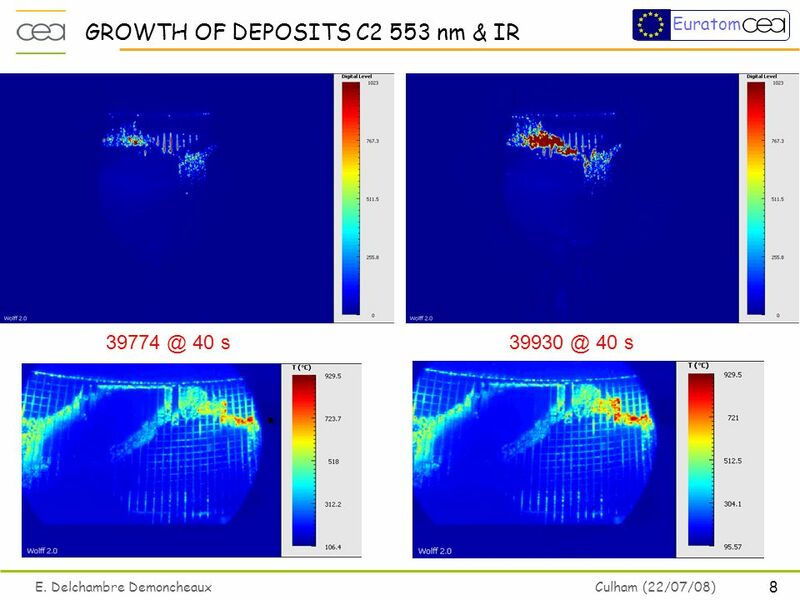 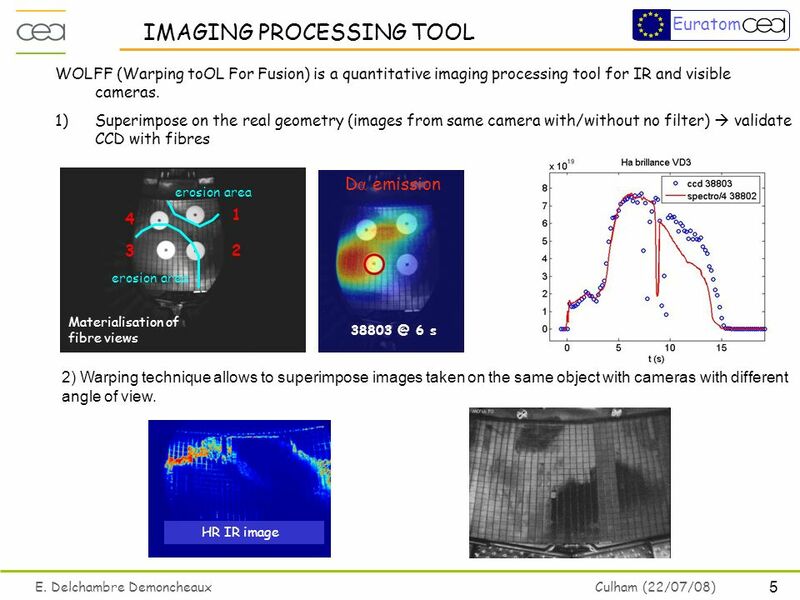 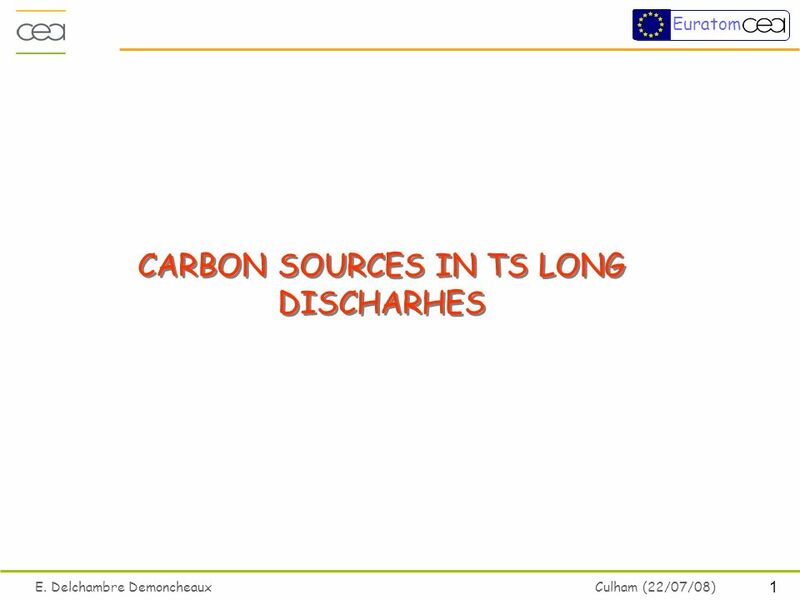 Download ppt "1 E. Delchambre Demoncheaux Culham (22/07/08) Euratom CARBON SOURCES IN TS LONG DISCHARHES." 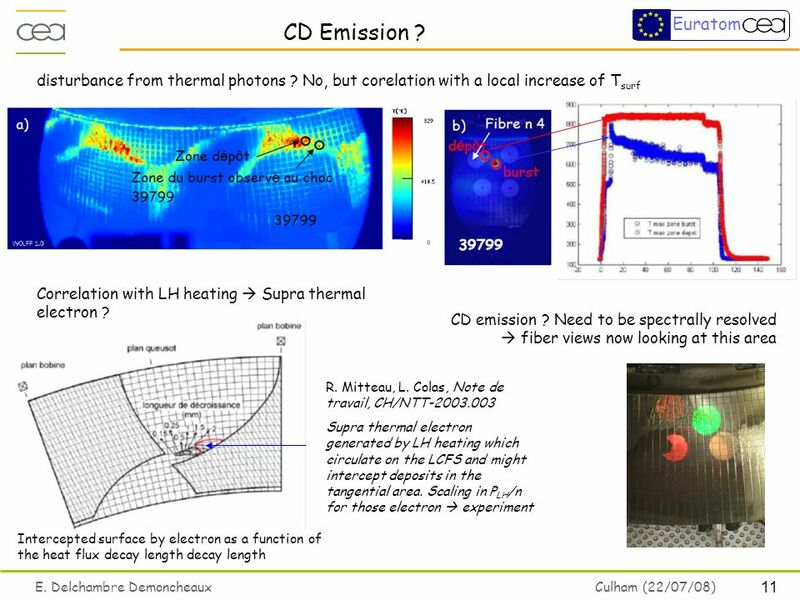 Institute for Plasma Physics Rijnhuizen Heat load asymmetries in MAST G. De Temmerman a,b, A. Kirk a, E, Nardon a, P. Tamain a, A. Thornton a a Present. 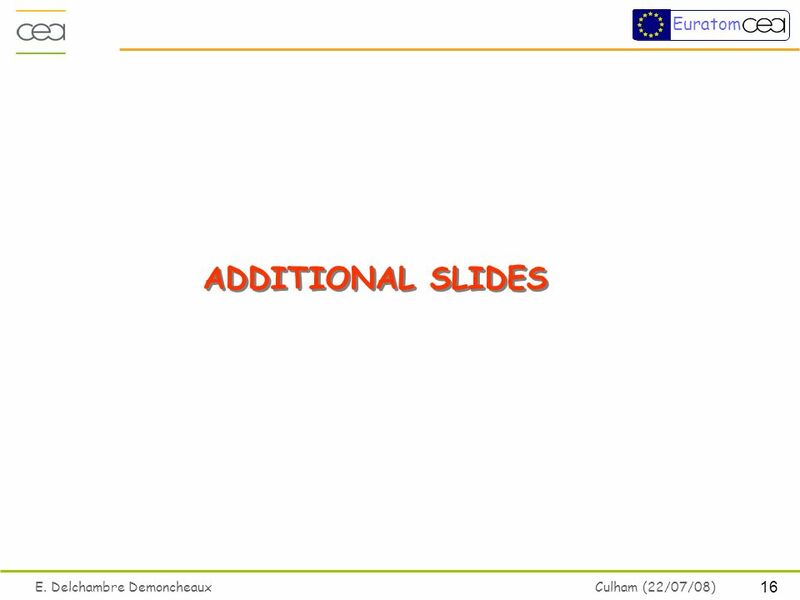 SEWG Meeting HIGH-Z, Ljubljana, October 2009 I. 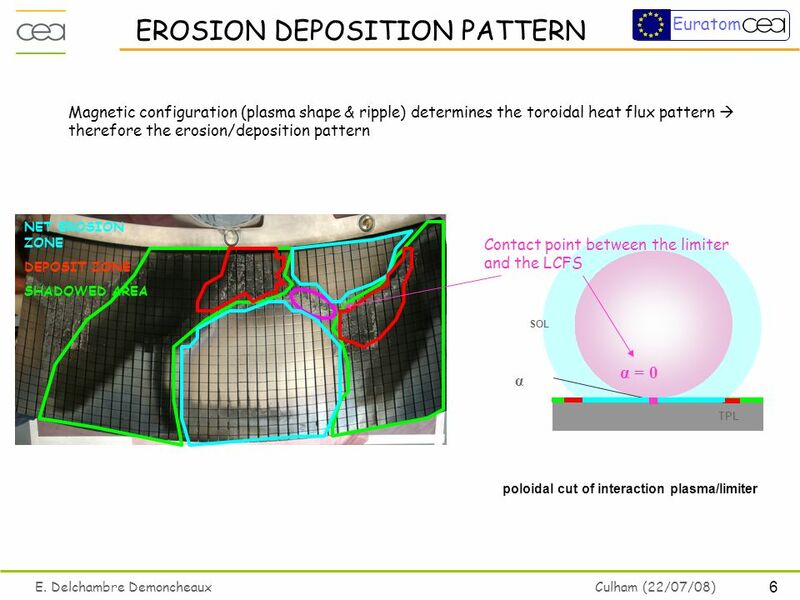 Tungsten distribution on limiters after WF 6 injection in TEXTOR II. 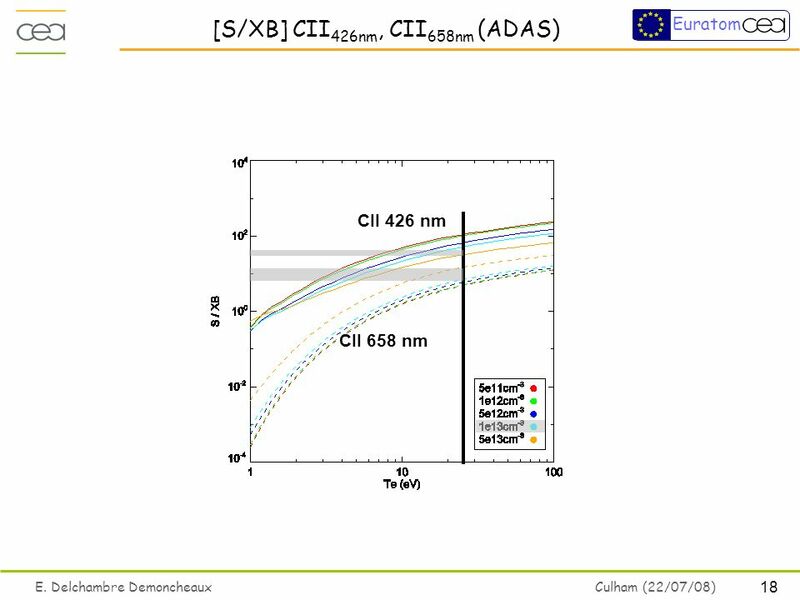 SEM and EDX of Melted Tungsten Rods. 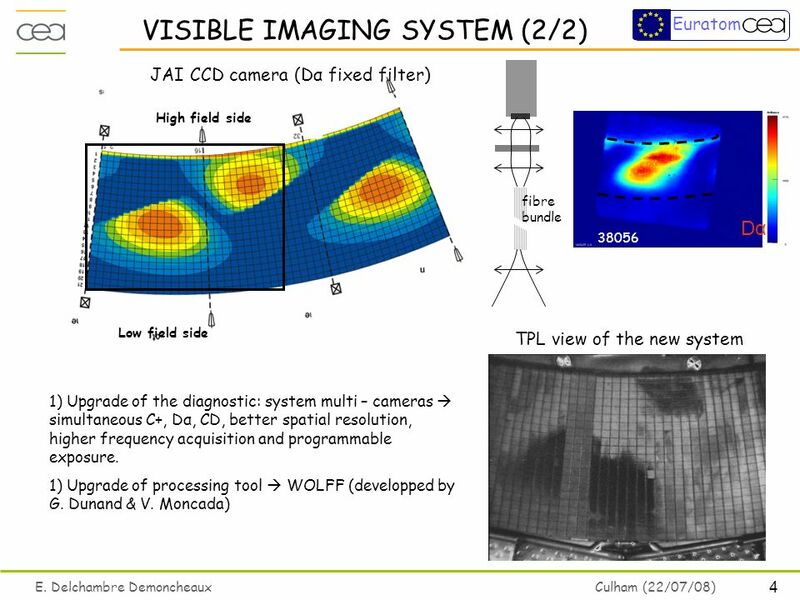 1TPL Dismantling Project – TORE SUPRA Association EURATOM-CEA 8th, december 2006 PFC Thermal test program: TPL sector dismantling. 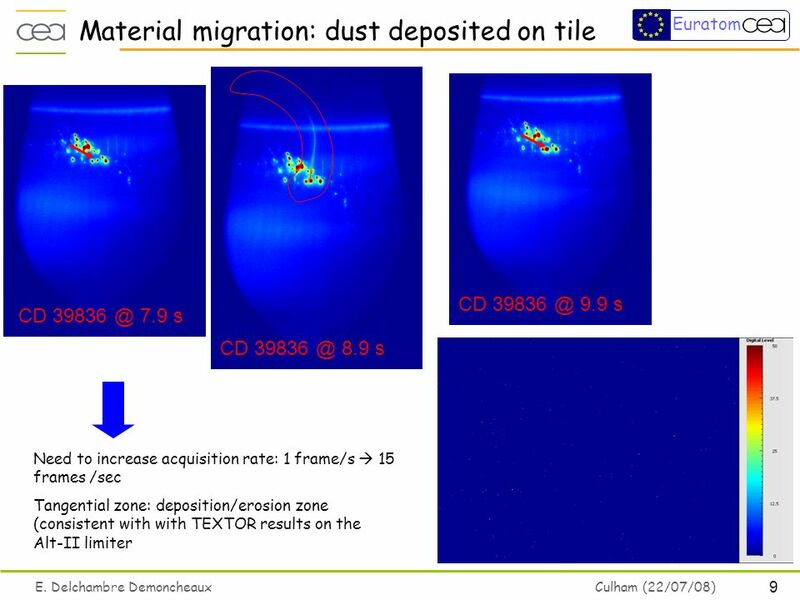 K. Krieger, SEWG Meeting on Material Migration and ITER Material Mix, JET, Max-Planck-Institut für Plasmaphysik Carbon local transport and redeposition. 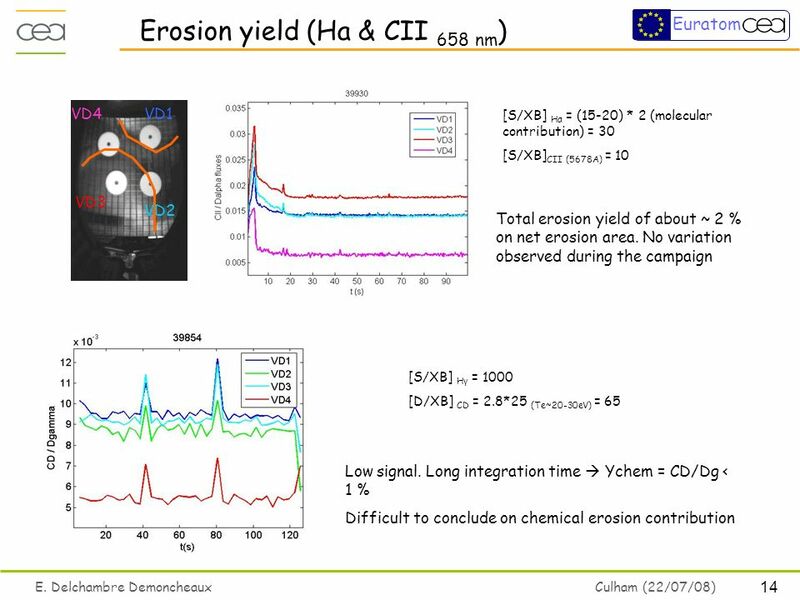 Tungsten distribution on limiters after WF 6 injection in TEXTOR M. Rubel, D. Ivanova Alfv é n Laboratory, Royal Institute of Technology, Association EURATOM. 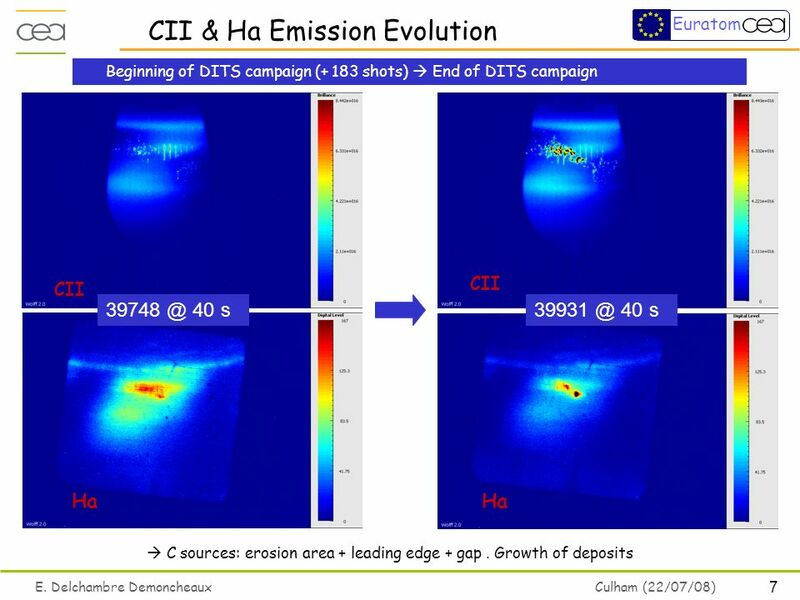 FOM-Institute for Plasma Physics Rijnhuizen Association Euratom-FOM T E CT E C T E CT E C Carbon Chemical Erosion Yield Experiments in Pilot-PSI Jeroen. 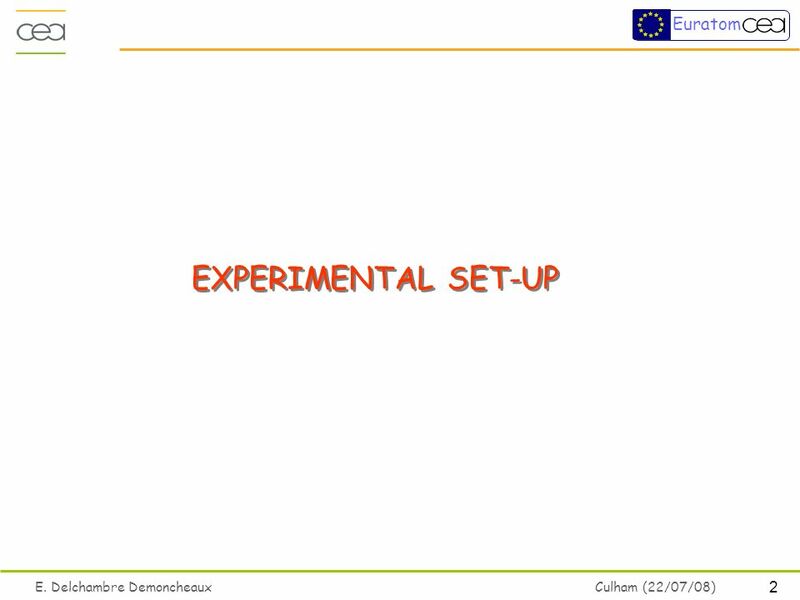 Max-Planck-Institut für Plasmaphysik EURATOM Assoziation K. Schmid SEWG meeting on mixed materials Parameter studies for the Be-W interaction Klaus Schmid.